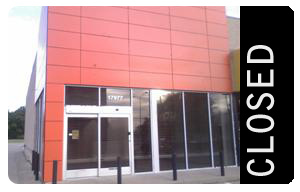 Is Best Buy finding the Geek Squad concept a failure as noticed by recent store closings? In Dallas on a great Preston Road location the very visible store has closed and had all signs of the store removed. A very prime upper class market that would seem to be the target demographic. Best Buy may be finding that computer service is vastly different than TV installation and that trained technicians are hard to come by on a massive scale. No comments available from Best Buy sources.